Synopsis : There is a hated person on the popular anime,「Girl & Shuya」. Consider me interested. It's nice to see some overweight characters for a change, especially protagonists! Yeah, there's actually two other "Hefty" character Isekai / Fantasy stories that recently released that I'm interested in. One is getting a volume 2 soon, so I think I'll request that one soonish. Those are both about characters losing weight to go back to the Isekai or succeed in the Isekai respectively. There may be more out there like these. I'm definitely interested in some of the LN with different body types and minority race representation in the lead. I'm also interested on this one. I had read the manga and the web novel but haven't read the light novel yet but there has been changes from web novel to light novel. just seeing from the manga, already shows his friend had change. I'm looking forward for this one. I read the WN for this one up to around ch 50 or so. It was pretty fun. I would definitely pick up this. I'm interested in this too. I hope it get picked up. The latest volume releases on February 20th. This one, just discovered it today thanks to a reddit post! decided to read the manga, and the WN. 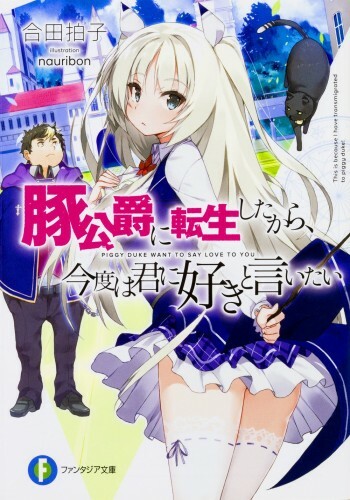 Funny story, likeable characters, looks like the story has a nice focus to where it's going, I personally haven't seen any LN like this so it was a refreshing one, would make me buy premium all over again LOL!